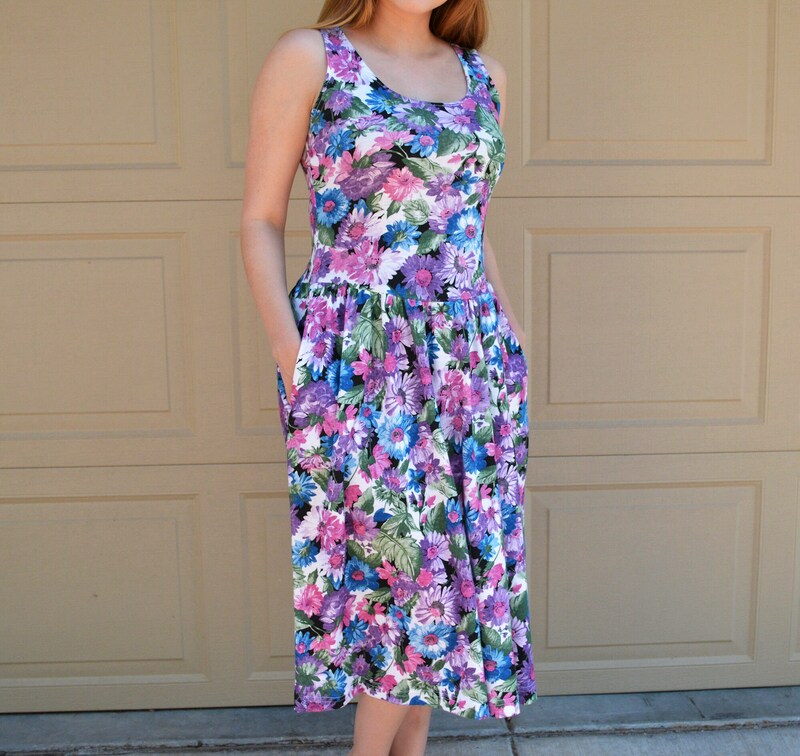 Enjoy the summer sun in this adorable 80s floral sundress. This is a trendy little vintage piece with tons of modern day appeal. 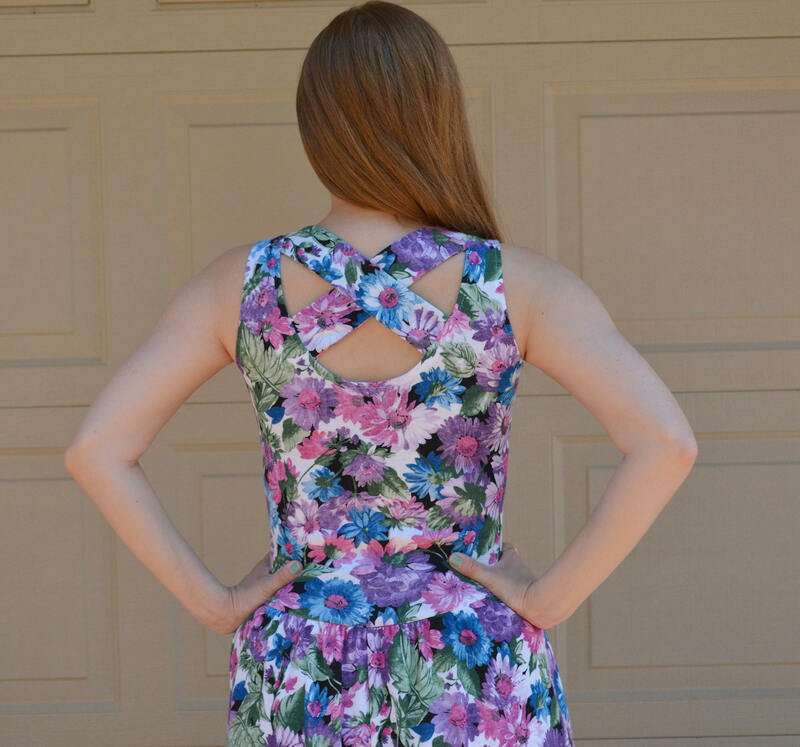 The back has a criss cross cutout. There are also side pockets. It is a midi length dress. In excellent condition.